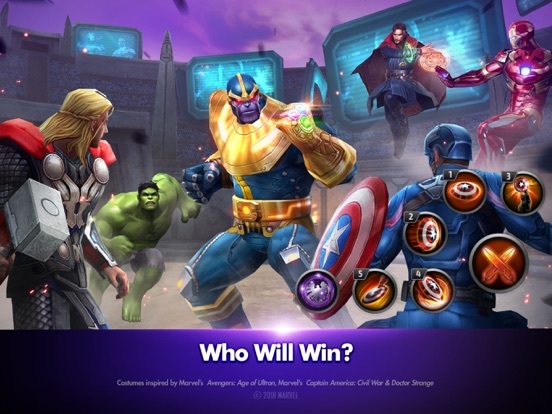 Discussion in 'iPhone and iPad Games' started by PeteOzzy, Mar 20, 2015. S.H.I.E.L.D. Director Nick Fury sends a dire message from the future: multiple dimensions have collided and our reality is shredding apart! 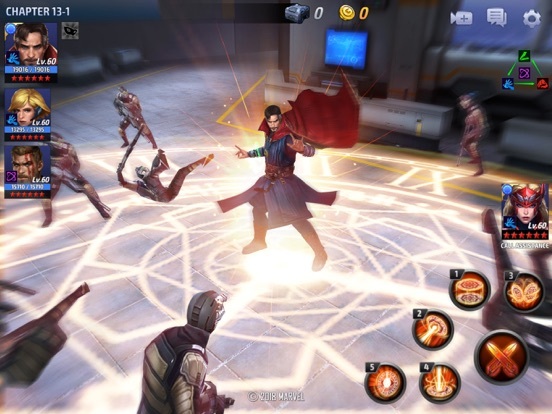 You must gather the Marvel Universe's mightiest Super Heroes and Villains, and prepare for the final battle to save our timeline in a groundbreaking new Action RPG: MARVEL FUTURE FIGHT! 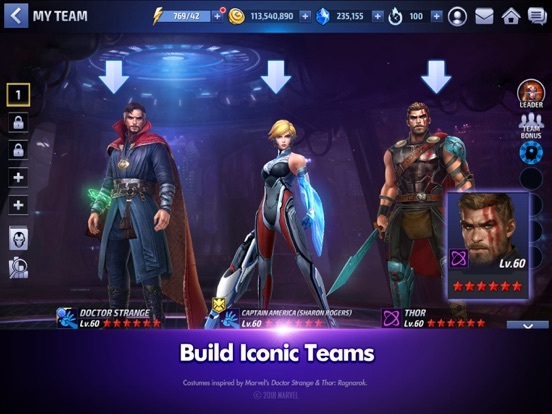 While the pay aspect isn't pay to win, collecting all the heroes will be expensive or time consuming. But hot damn. This game came from nowhere. It's super fun. And can't wait for it to come to US so I can properly download it and spend money. 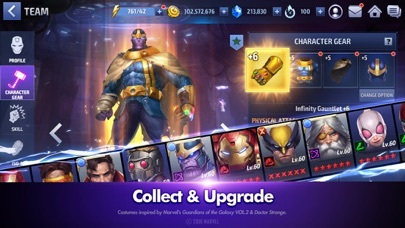 good find pete, i think netmarble doing a good job with this game. im really enjoying the gameplay and still looking forward to see how it goes. oh the graphics are quite good too. You need wifi to play? 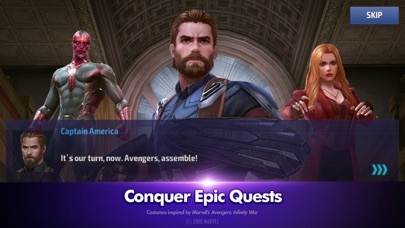 Short of it being a port of the classic X-Men Legends/Marvel Ultimate Alliance games, this looks like everything I could ever want out of a Marvel game! 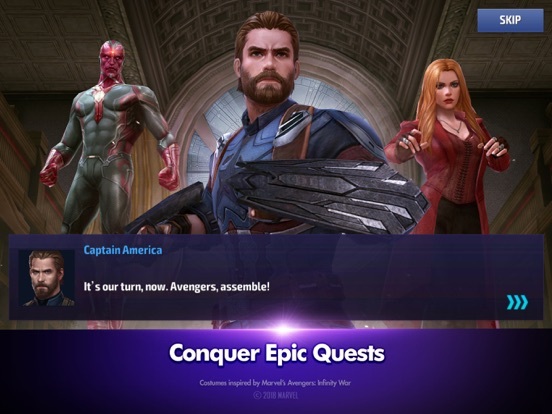 The depth of the roster of playable characters looks insane! I can't wait for its global release, hopefully it will come sooner rather than later! 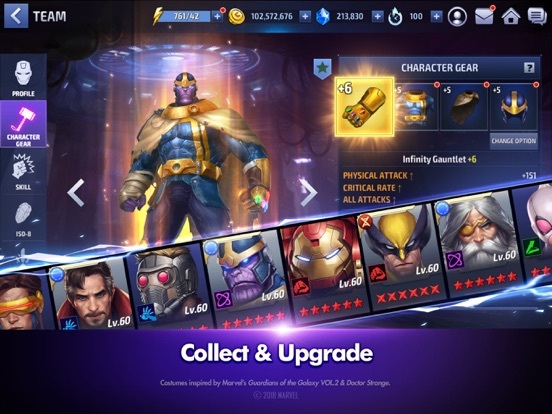 One question for those who are already playing it: there are several things in that description that suggest this is going to require a permanent internet connection. Is that the case? Woah! This is mine! Opening the au account now! 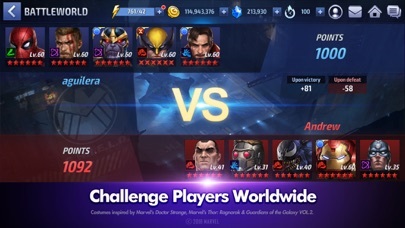 Yeah, you can't even view the title screen without it. I imagine that surprises very few people though. There's an energy bar and multiple currencies if people are allergic. This is actually enjoyable, I really wasn't expecting that. 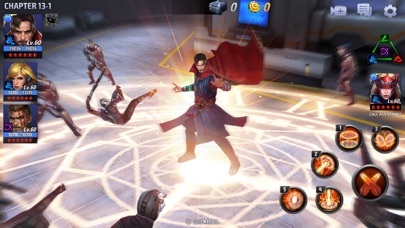 I'm not much of a fighting game fan so I've not cared too much for most recent superhero games. 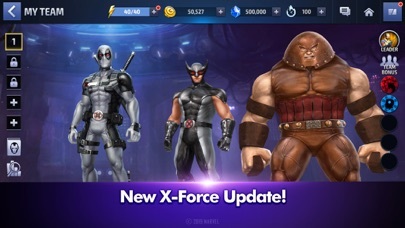 This is more of an ARPG like a Diablo-lite or X-Men Legends-lite so I'm bound to enjoy it more - that's a genre that only needs to succeed on a basic level for me to enjoy really. Plus, it's just more exciting to unlock characters you know than nameless fantasy archetypes! Demmet i want Daredevil unlocked already. 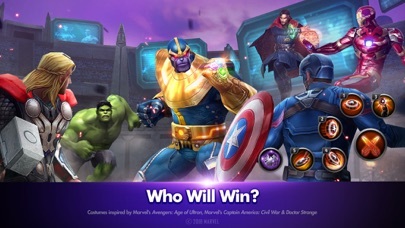 I need to play as my favorite marvel character! 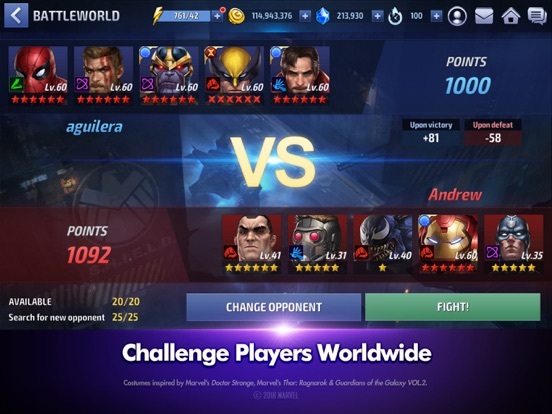 I got Luke Cage as my first free character. Who did you guys get? Iron Fist. Not my favourite, not my least favourite so can't complain. Edit: Definitely can't complain. He's amazing in 1 on 1; stunning the enemy and just pummeling them before they can recover. Really enjoying this. 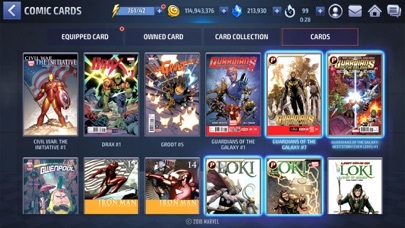 Nearly have enough currency for a fifth hero. Available in Denmark as well, folks. 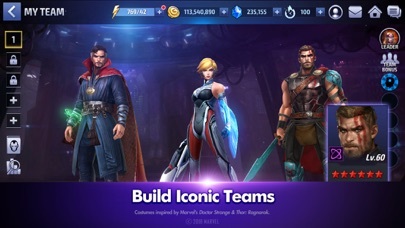 Awww this looks awesome, all I need is gambit and they can have all my money. 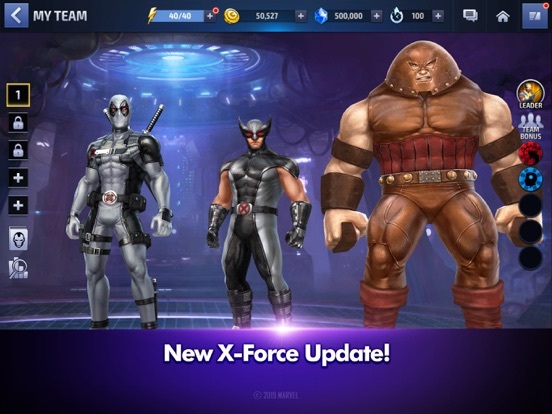 No gambit, sorry. In fact, tis a marvel supers title without Wolverine. Crashed on me 4 times already. Ipad air ios8.1.1. Also got disconnected twice on a stable connection. damn I want this one. 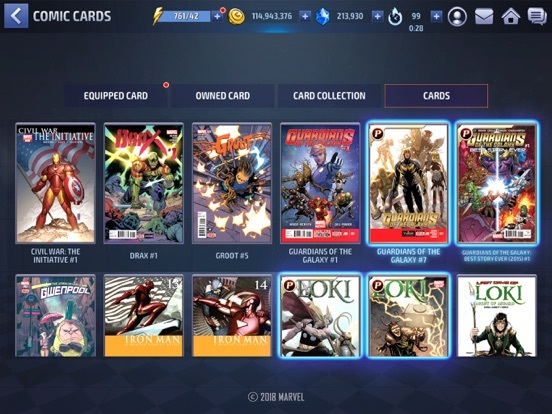 I'm a sucker for some Marvel games. Crashes on my Air 2 iOS 8.2 after almost every victory screen, but luckily it always saved my progress. I really like it nonetheless though. Maybe it's time for another add-me thread ... ? Hey Exact-Psience - given your comment, we thought you might appreciate this!